Discover the taste of light, bright and healthy homestyle cooking at Ebony & Ivory. 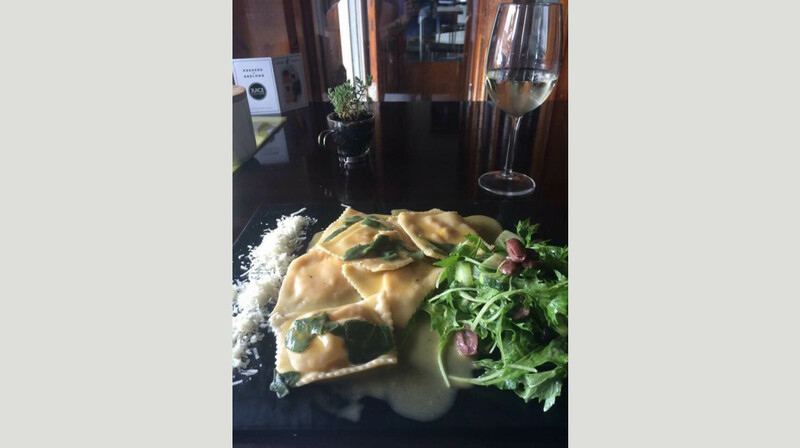 From hand-made pasta and fresh gnocchi, to Mediterranean recipes passed through the generations, Ebony & Ivory Italian Restaurant brings a passion for great flavours and quality produce to Geelong. Using local artisan ingredients to create ‘soul’ food, their menu is celebration of all things Italian. Start the evening with a platter of antipasti loaded with cured meats, marinated vegetables and Italian cheeses, before diving into mains of grilled steak, rosemary lamb, fresh pasta and market fish. Save room for one of their decadent desserts though, made by in-house Pastry Chef Nick! 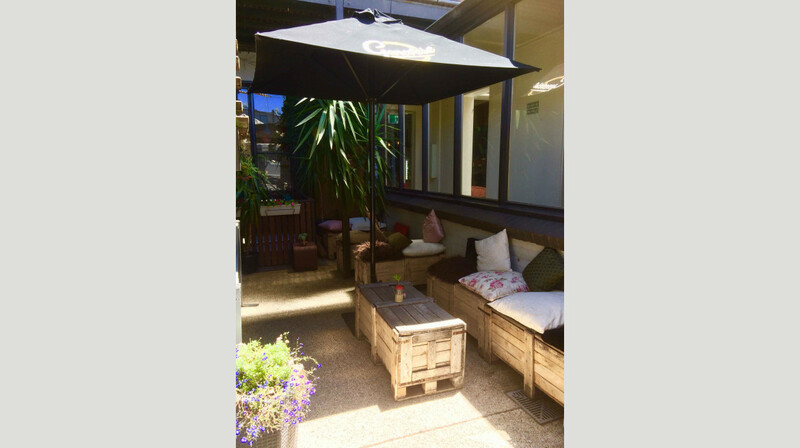 Dine in their beautiful courtyard with a summer cocktail in hand, or cosy up to the open fire in their winter months with a killer coffee or fine wine. Whatever the occasion, Ebony & Ivory is guaranteed to smash your dining expectations! We thoroughly enjoyed our visit, the food was superb. It's an interesting restaurant with different eating areas offering a variety of different options. The menu is uncomplicated and offers good choice. Very nice relaxing atmosphere with excellent and friendly service. 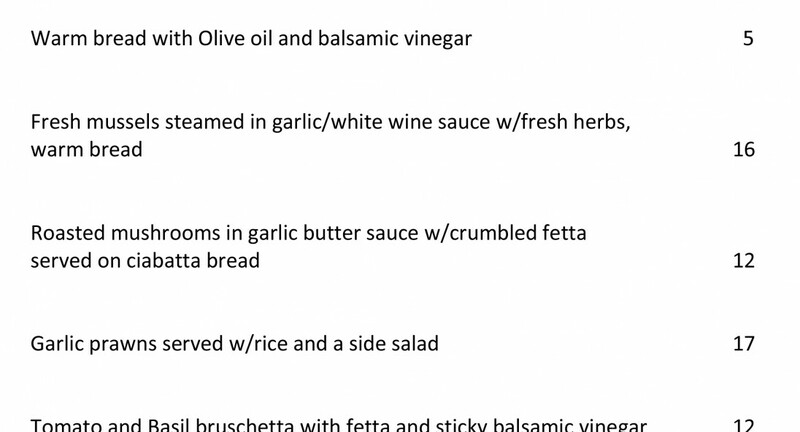 The meals were very nice, especially the pasta dishes. Delicious food, lovely setting, and very attentive staff. Will definitely go back there. 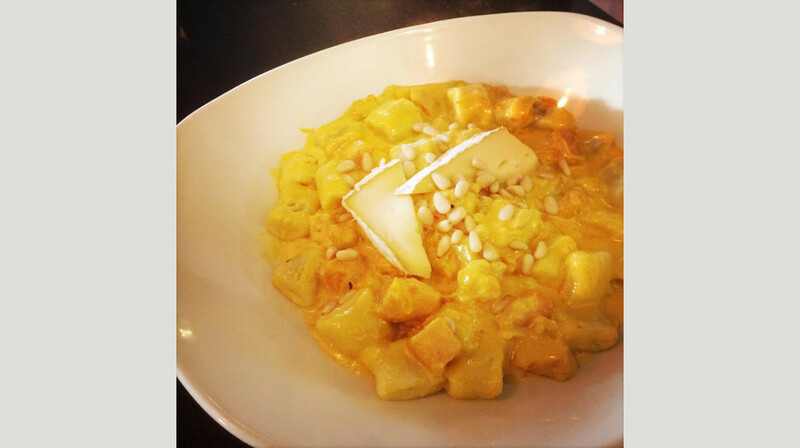 The Pasta is all made in house, and to die for. 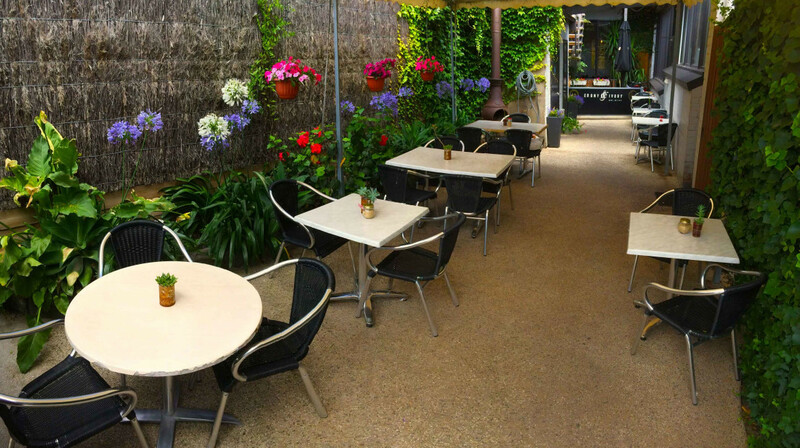 Gorgeous relaxed atmosphere and exceptional service from the friendly waiter and waitress. Food was very flavoursome and the whole experience perfect for our anniversary dinner. One of my favourite go-to places to dine in Geelong. 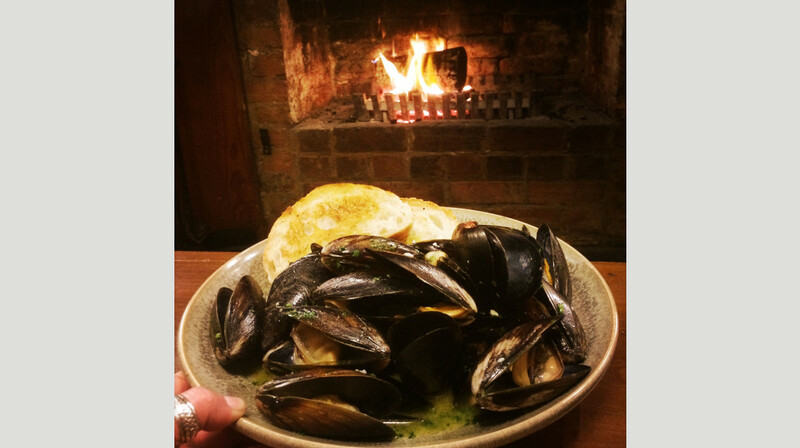 Always fantastic food, service and cosy atmosphere! Great evening with excellent food. 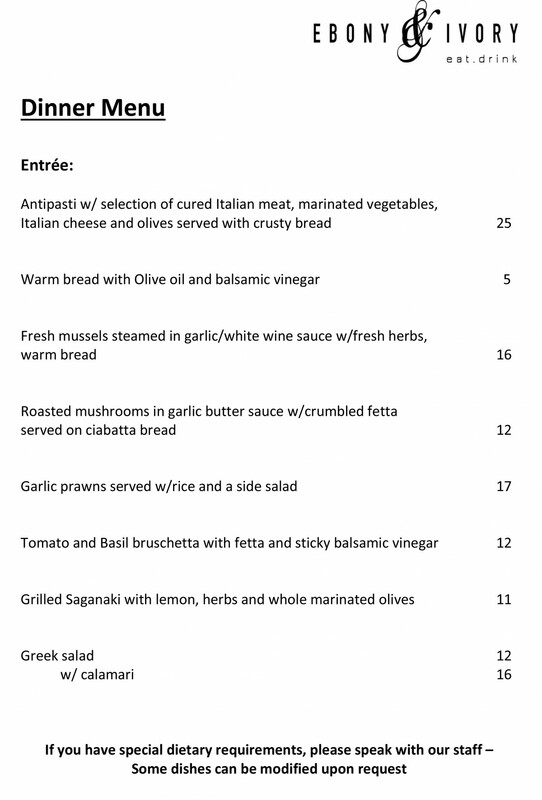 Great selection of authentic Italian food with a large variety of entrees and mains. Had a quick but fabulous meal. We where running late due to traffic accident and then had to leave quite quickly to get to a movie. They accommodated us so quickly and friendly. Food was great ! Lovely fresh Italian food - lots of Italian people also wining and dining in the restaurant speaks volumes for the authentic Italian night out we experienced. This a seriously good place to eat. Great menu, great wines and great service. When we arrived we were welcomed warmly then waited a long time for a menu because the waitress was so engaged in talking about her social life rather than serving us. My partner had to ask for a menu. Once that was sorted the owner couldnt have been faulted. He sat at our table.and engaged us in wonderful conversation. But in saying that the food was delicious. We would definately go back. Great cosy environment, loved the open fire! Staff are all very friendly and attentive. All our meals were spot on, great quality food and nicely presented! Will definitely be going back! Fantastic service! Really great atmosphere, delicious food! Good portion sizes for both mains and entres and always felt welcome and looked after. Definitely going back. Fabulous night out! 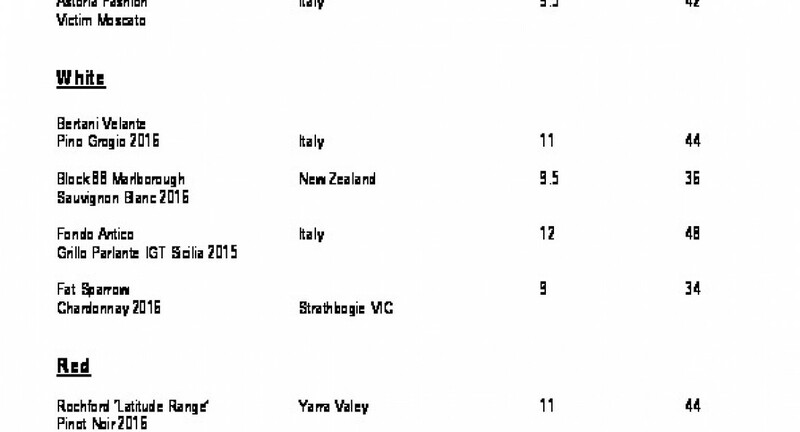 Wine menu was exquisite - we were offered samples to ensure we were happy with our choices (freshly-opened bottles!). We ate at leisure and were afforded plenty of time to select, along with menu advice when required. The restaurant itself is lovely: comfortable; plenty of seating, suitable both for romantic couples and larger groups; terrific ambience. We shared the mussels (yum!) 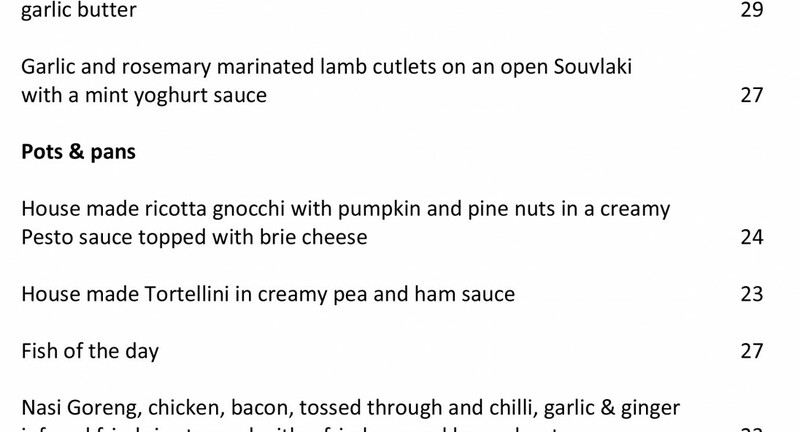 as entree and selected mains of steak (perfectly cooked; excellent quality) and ricotta gnocchi (homemade; delicious). Such a great night out; thank you for looking after us, Ebony & Ivory and First Table. 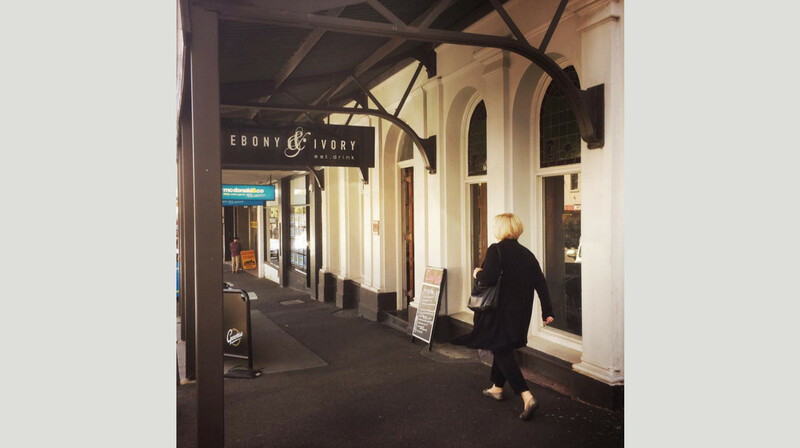 Ebony & Ivory has always been one of my favourite places to eat. I love the atmosphere, with lots of little niches and separate areas to give a sense of privacy while you dine. 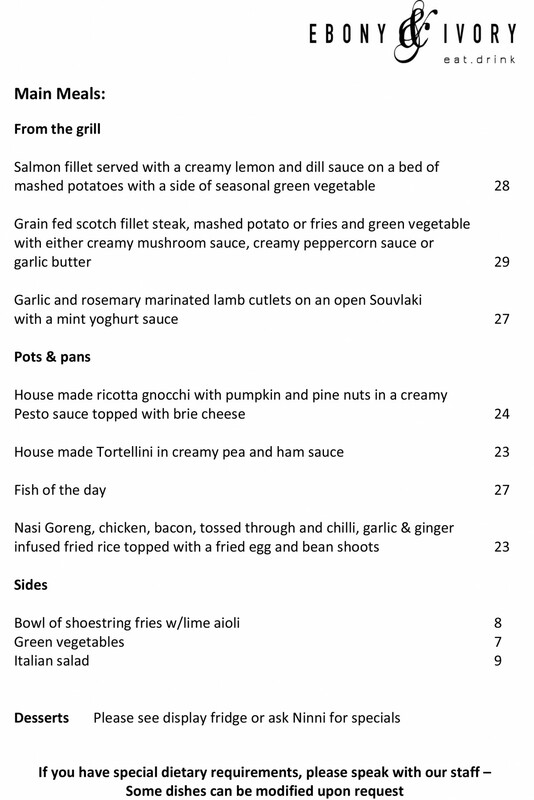 Ninni and his staff are friendly and welcoming, and the menu is fresh and uncomplicated, offering a great selection of traditional Italian flavours at very reasonable prices. A perfect place for casual dining or to celebrate a special occasion. Buonissimo! We had a lovely night. The restaurant itself is inviting with a mix of decor from a cozy fireplace lounge area to lovely modern art on the walls. The service and food was wonderful with a great wine recommendation with our meal. Great Italian food in a really friendly environment, every meal was delicious. We'll be back! The restaurant was a fun and authentic experience to be a part of. The food was delicious and fresh. The highlight was the service. We received high class service with a great experience of Italian singing. very impressed and fun. Lovely evening at Ebony and Ivory, we were greeted warmly, the service throughout the night was excellent. The food was very fresh, flavoursome and good portions, I would recommend this venue to anyone who want a casual night out. Fantastic experience, lovely and cozy. My partner and I both enjoyed our entrees and fantastic steaks. Would definitely recommend Ebony & Ivory to everyone.